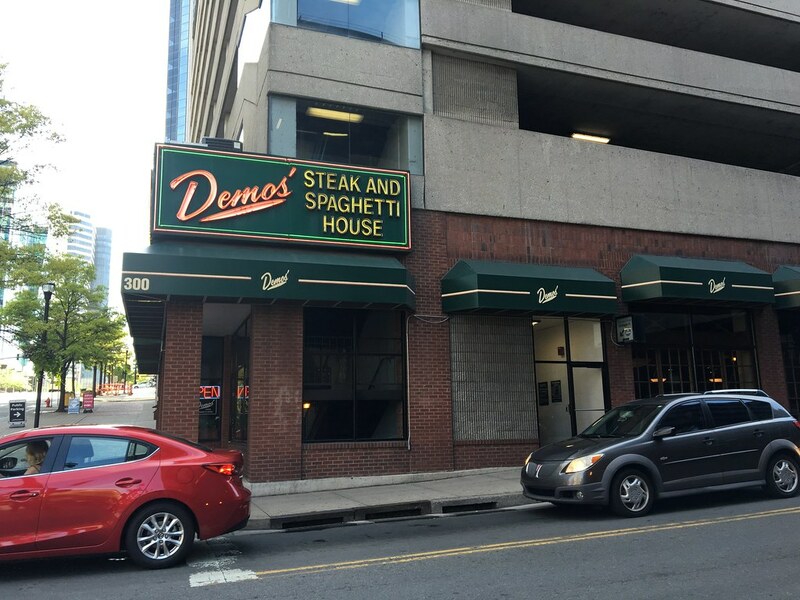 When I was soliciting thoughts on where to go in Nashville, one place that kept coming up was Demos' Steak and Spaghetti House - specifically for their sweet tea. We walked in, and I thought I could maybe just get a tea to go, but I realized it's more of a sit-down restaurant. 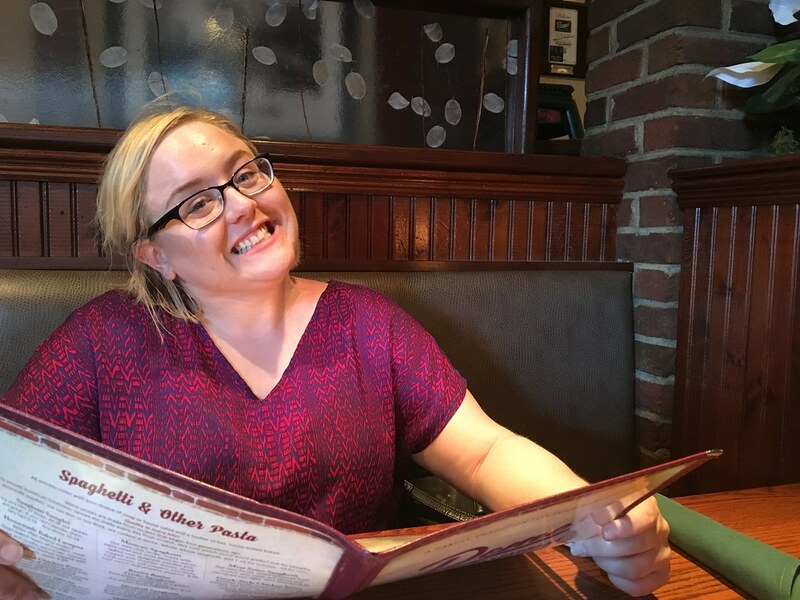 So, we perused the appetizers to see what would go well with sweet tea. 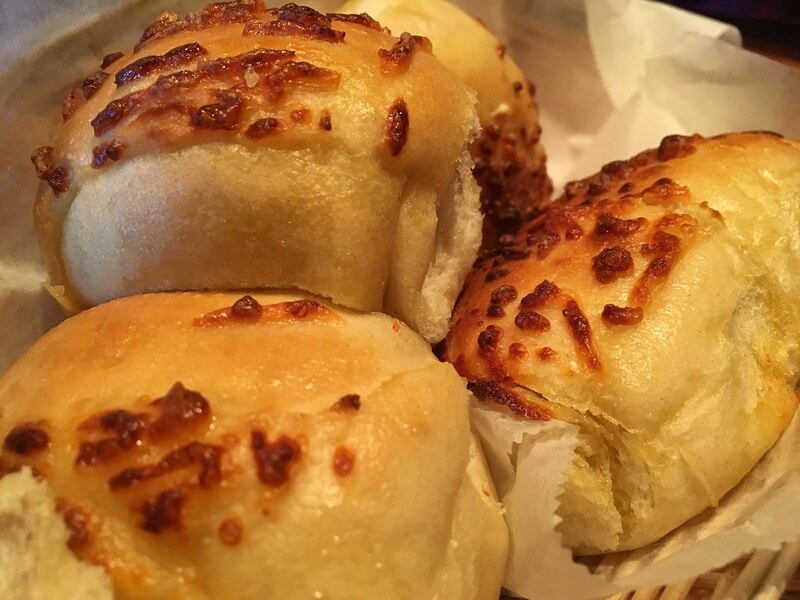 But first - we were brought out these buttery, cheese rolls. OMG. So good. 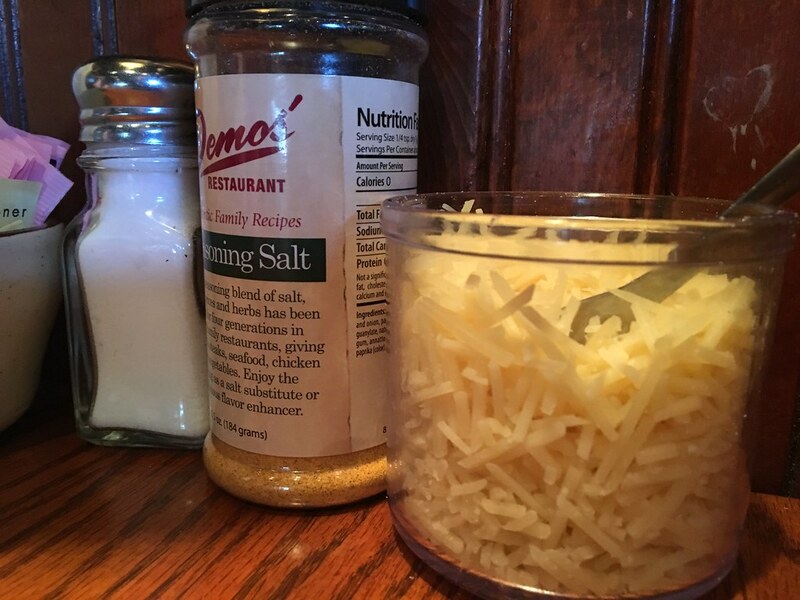 Hot, buttery carbs. 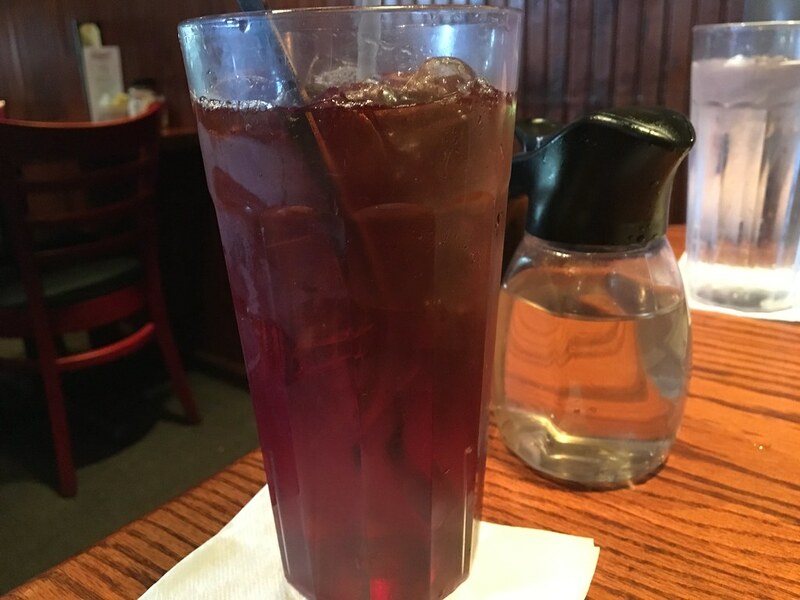 OK, and the sweet tea was served unsweetened with a side of simple syrup so you can control how sweet you make it. I'm typically not a fan of sweet tea, but this was a game changer. I was able to make it pretty sweet - and just the flavor overall was spot on. 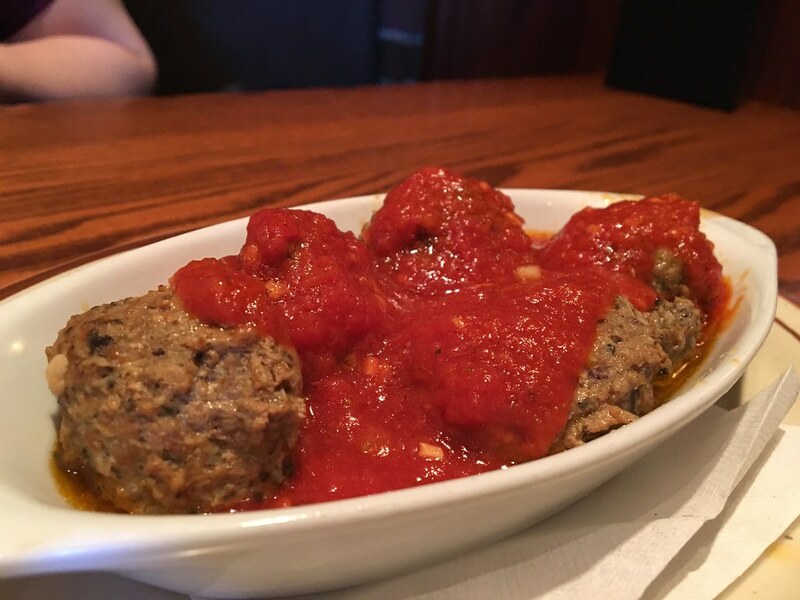 Our meatball appetizer wasn't bad. Not the best marinara sauce I've ever had, but it wasn't bad. The meatballs were ground very finely. 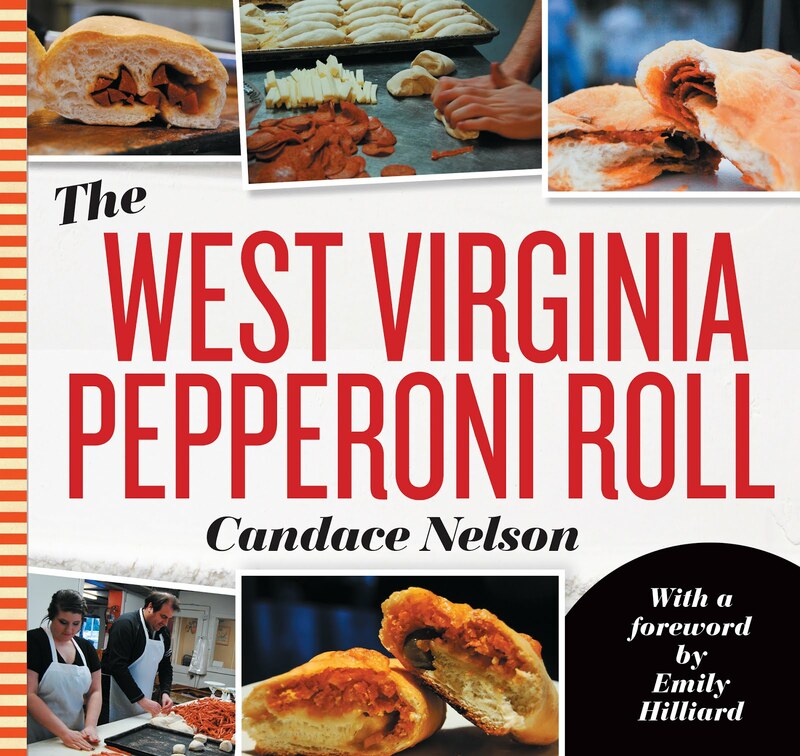 Not a ton of flavor - could use a generous shake of salt. Fairly average overall.